Hope your humble abode isn't so humble if you want to play host to EVE fans. As previously announced. CCP Games is taking its famous EVE Fanfest celebrating EVE Online on the road for 2019, and the next stop could very well be at your house! One of 2019's Fanfest locations will be taking place at one lucky fan's home, though the logistics of which haven't been shared just yet -- you'd better hope you don't have an apartment, or maybe just not enter, if that's the case. 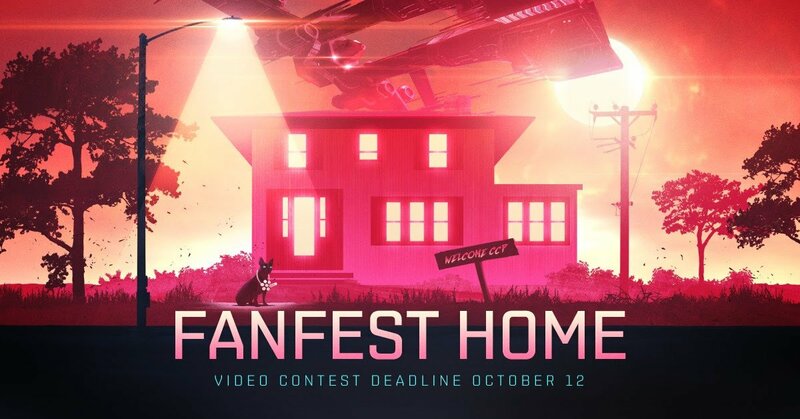 According to the company, this will be a "proper" Fanfest like those that have been running since 2004, complete with CCP developers, a keynote address, a performance from Permaband, a pub crawl, charity dinner, and much more, all livestreamed from the winner's house. Everything will be "scaled down" to fit your home, and folks will be able to attend if you choose for them to - don't worry, CCP Games isn't going to start selling tickets for people to come to your house. If you'd like to be chosen for the event, however, you're going to have to make a video to participate in a contest that runs down why you're the most worthy. Official contest rules are here at the EVE Online blog, but you have to make your own video convincing the organizers why you're the best choice! You'll need to include your character name, real name, home address, and other info on why you're the best choice in an accompanying email, and that's it! There are a selection of rules to follow, but most importantly you must be 18, make a video that's suitable for all ages, and you've got until October 12 to do it. The video can be between 30 and 60 seconds long. Ready to get to work? Check out the rules and start filming! CCP Games wants to bring the party to you, obviously!